Weather in Florence Italy is good almost all year round. Heck - the summer can last up to 5 months! 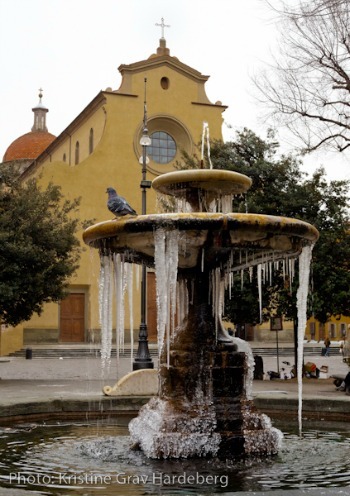 That gives vacationers quite a bit of choice for coming to Florence in the warm season. 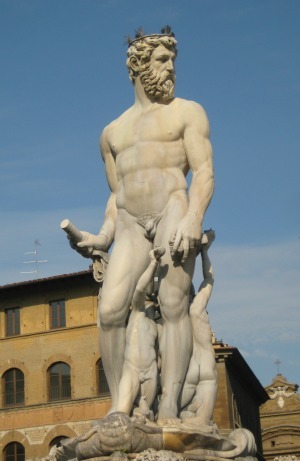 But winter in Firenze is not to be ruled out...the city's calmer and prices go down, a big plus! Also, when the cold weather does finally arrive, it’s never a cold cold (I’m from New York so I grew up with frigid winters – I know cold when I feel it!). When the weather is ‘bad’ here, that generally means rain. Find out more about Florence weather with the tables below. The temperatures below refer to average highs and lows. It’s snowed a total of 3 times in the 23 years I’ve lived here! 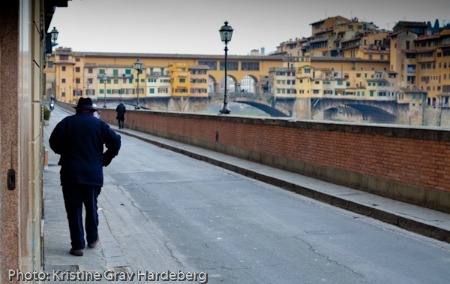 It's an adventure to explore Florence in winter, you never know what you're going to find. The cobblestone streets and antique piazzas have so many mysterious nooks and crannies that are hard to catch with the crowds of summer. But summer is still the busiest time of year for tourism in Florence. Over 4 million tourists come here in summer, and with a population of barely 400,000 people, that's pretty mind-boggling! One thing about summer here though, if you don't like very hot weather and prefer avoiding crowds when traveling, summer in Florence is probably not for you. Read the pros and cons for each time of the year below. These seasons are a good middle road, with Spring being the slightly better choice of the two. 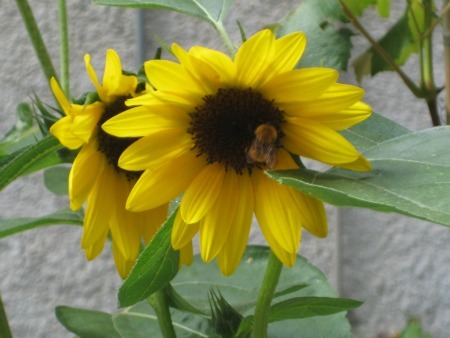 From April to June the mild climate is just right for Florence sightseeing outdoors, and the Tuscan countryside starts bursting with marvelous fields of poppies and towards June the sunflowers arrive too - perfect for day excursions.